You are currently browsing the Collector Model blog archives for November, 2014. 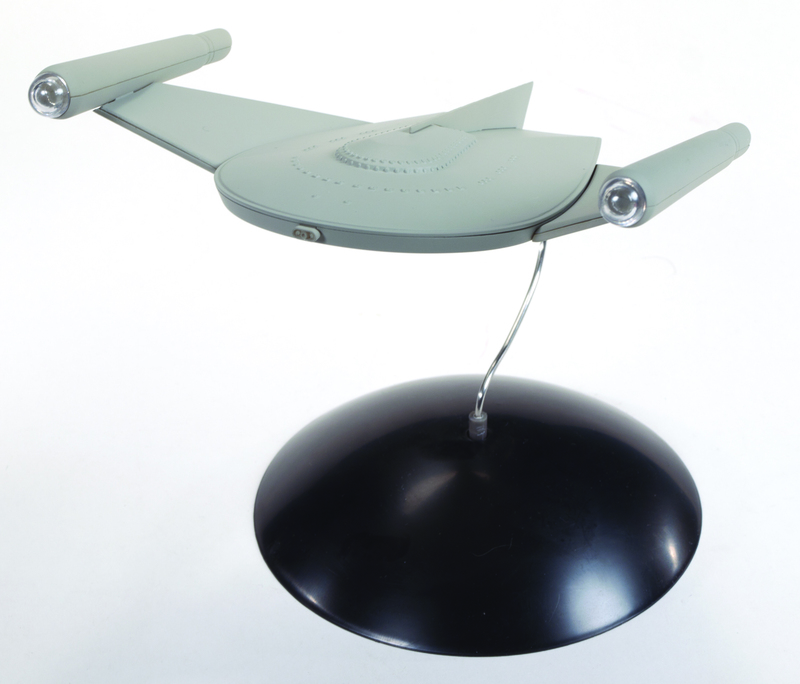 We announced that we would be bringing out a new Polar Lights model kit of the STAR TREK: TOS Romulan Bird-of-Prey back at Wonderfest in May. We’ve shown around some of the preliminary 3D work, but we recently received the mockup of the kit. here is a first look. Some may have noted that we showed an earlier version at iHobby in October. In many ways it was not up to our expectations, but this version is about ready to go. 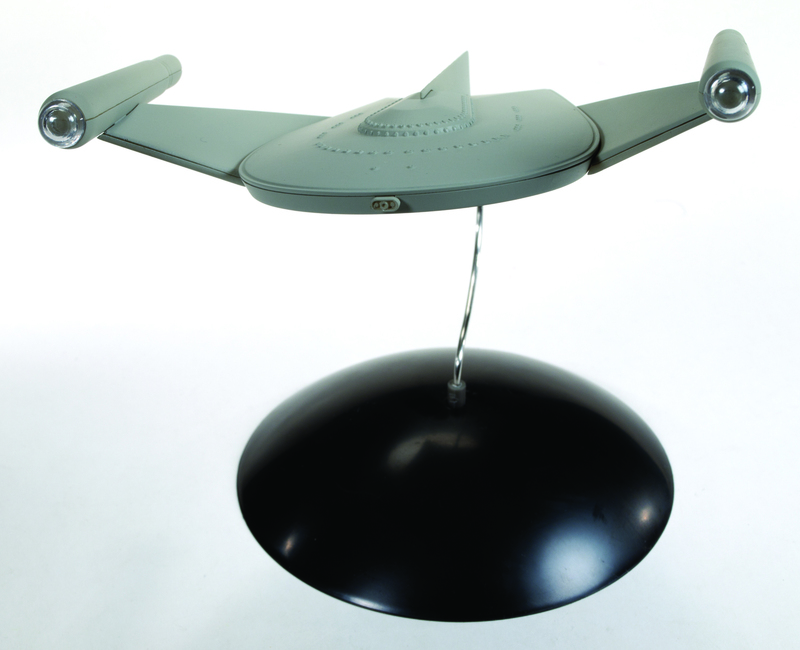 Some may be disappointed that we were not able to reproduce the saucer front/side windows due to tooling restrictions. 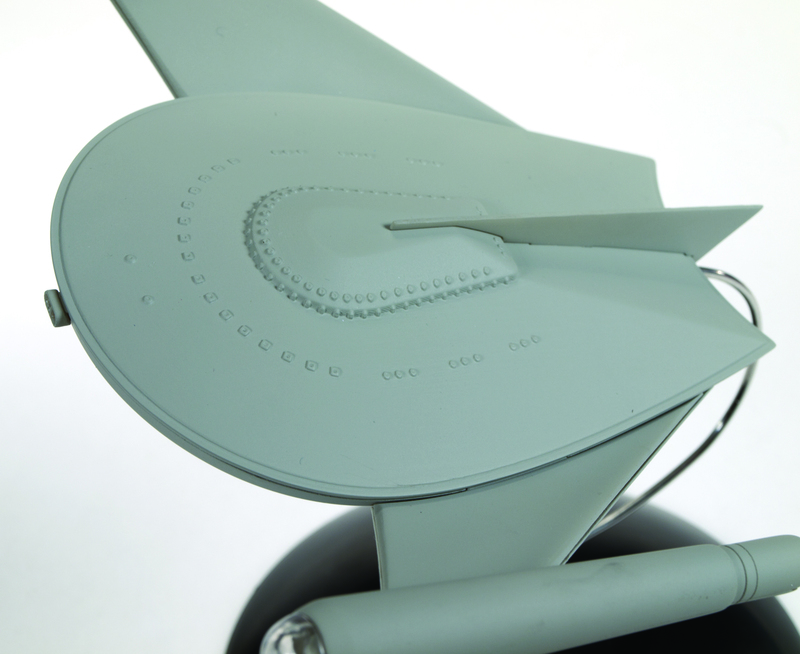 I’m sure enterprising modelers will find a way to introduce that detail back into the model. Overall, the kit looks great though. 3D work was done once again by Angelo Bastianelli based on reference by Gary Kerr and Petri Blomqvist. 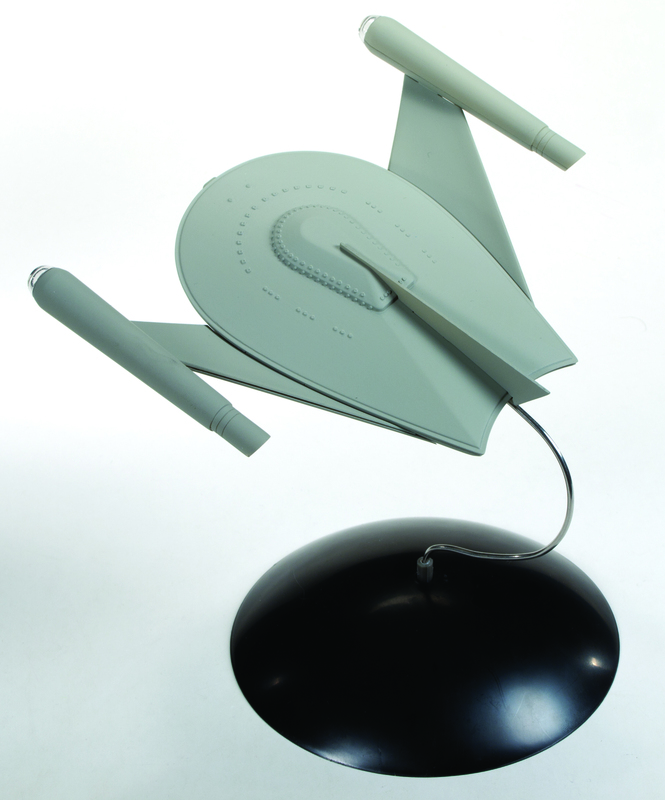 Petri is a lifelong fan of this particular ship and the shape and proportions were painstakingly determined by building his wireframe over screen caps of the original filming miniature.